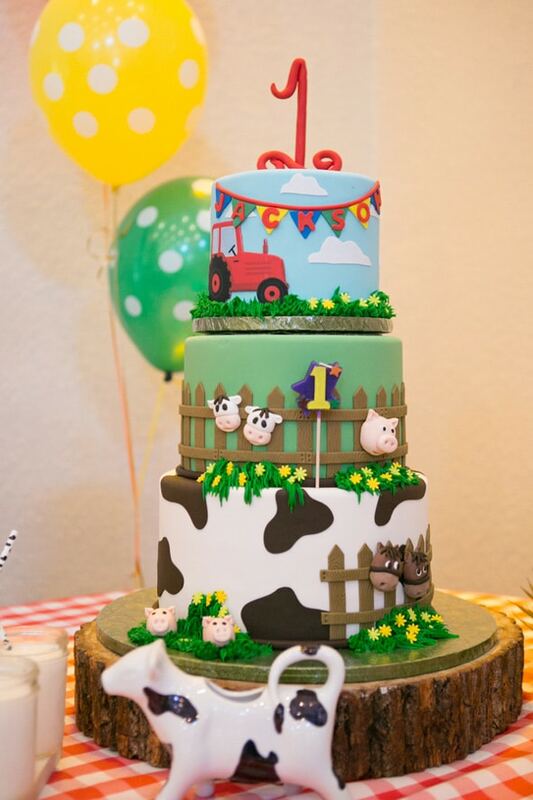 This sweet birthday boy had the most fun Farmyard Ranch First Birthday Party ever! 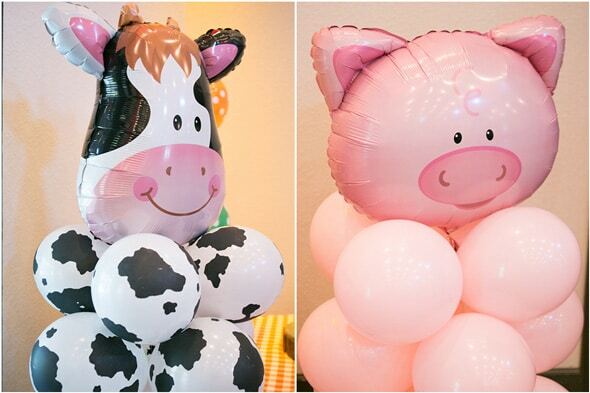 What little boy isn’t excited about cows, pigs and horses? 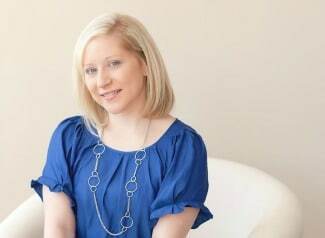 This theme is always a home run! 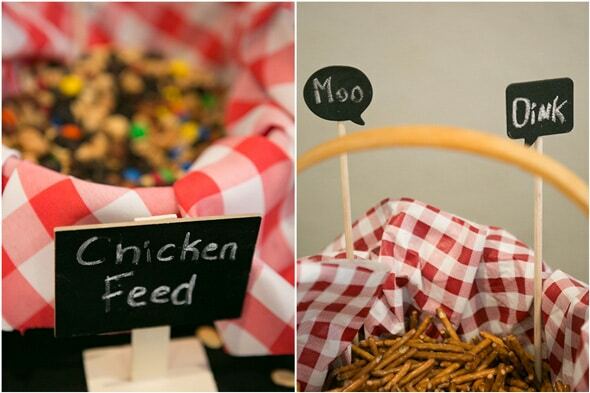 A fabulous farm-themed party was held, complete with all of the farm-life fixings! 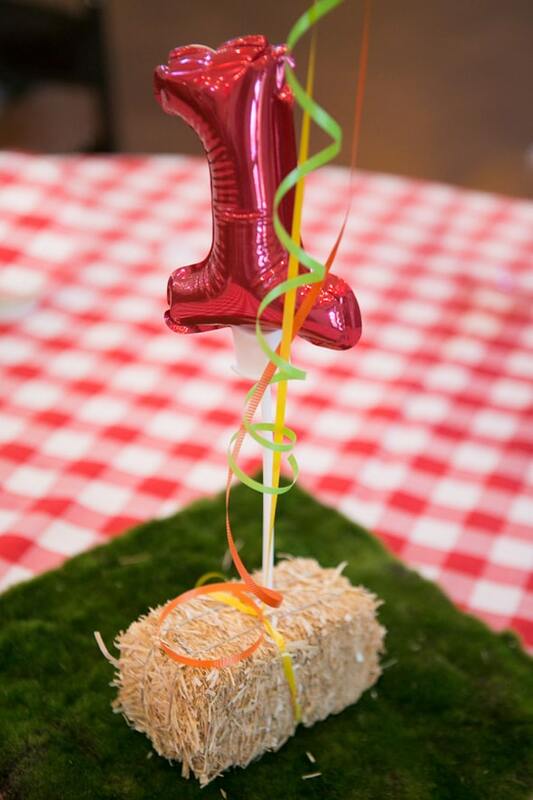 This little cutie doesn’t know it yet, but he’s going to be set for life for some pretty awesome birthday parties! 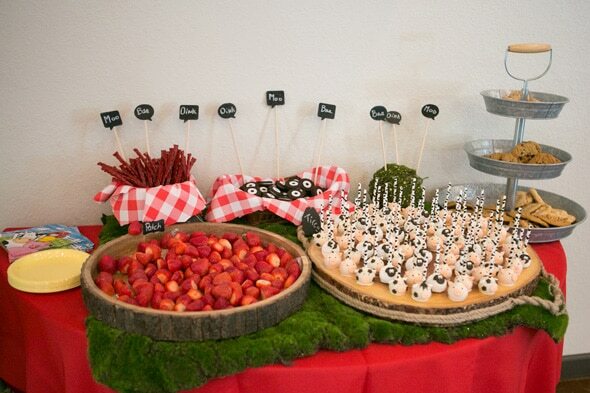 His grandparents own the venue where the party was held, Bakers Ranch. Even better? 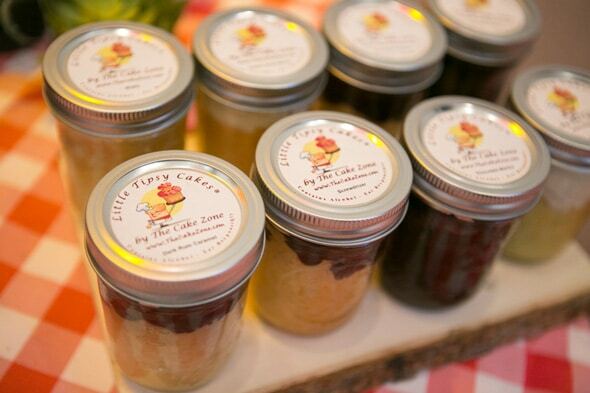 They also own The Cake Zone! 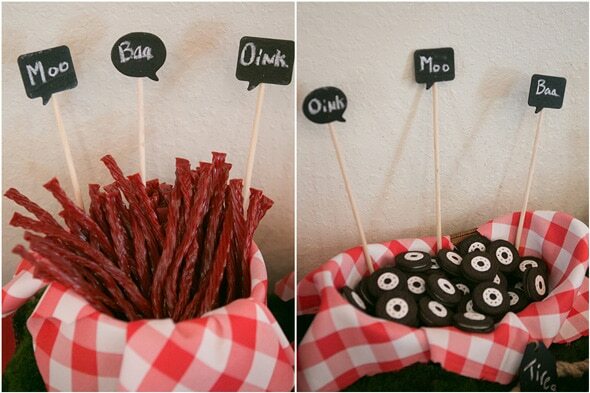 He will have the most awesome cakes ever for every birthday! 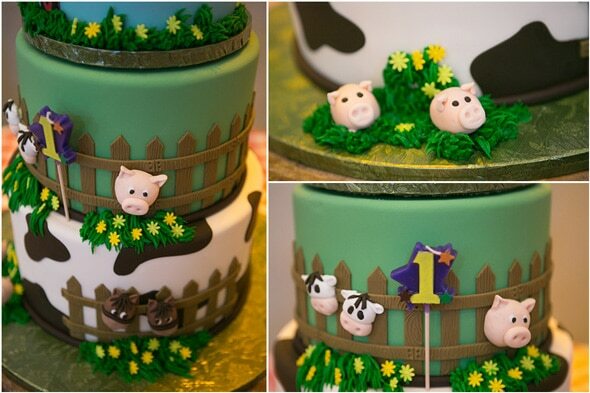 We absolutely adore this spectacular farmyard birthday cake! 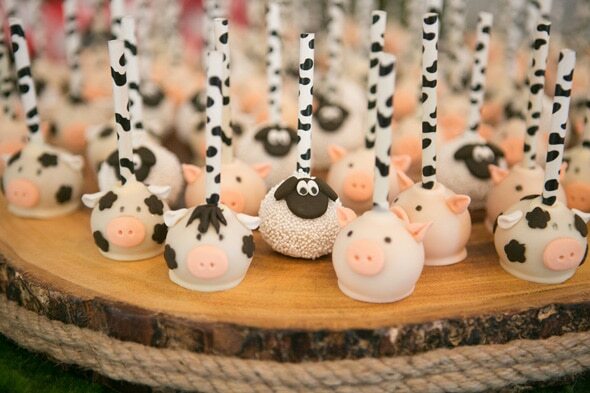 Fun farm-themed snacks were served to the guests, including the oh-so-adorable farm animal cake pops! 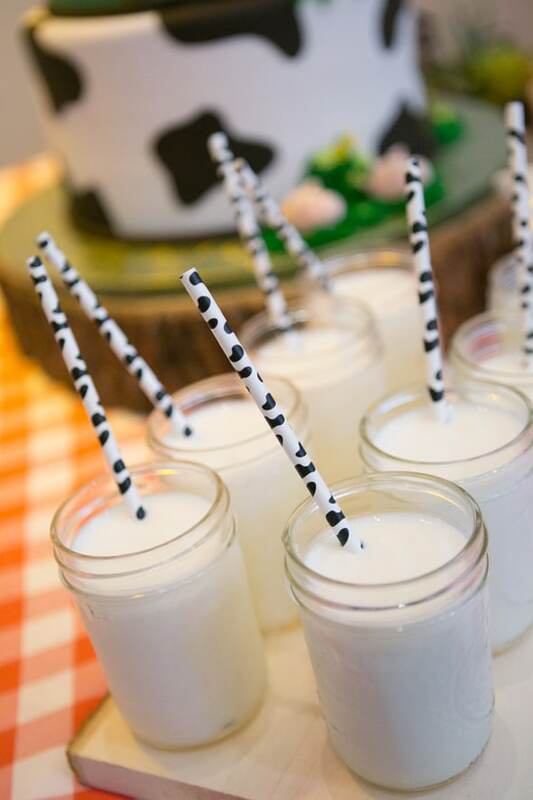 There were even cow-themed straws for the milk that were served at this unforgettable farm-themed birthday bash! There was also a great photo booth set up. Memories will be able to be looked back upon for years to come! 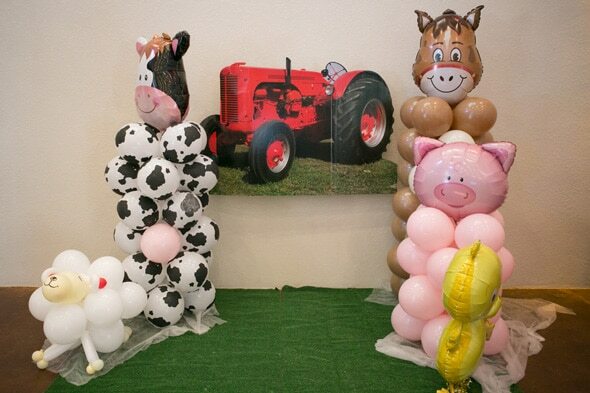 Check out those balloons! 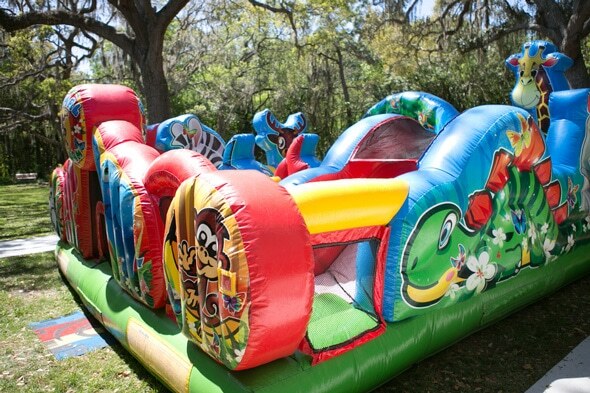 And don’t forget about the huge bounce house. A birthday party with lots of littles always needs a bounce house to keep everyone happy! This one certainly didn’t disappoint. 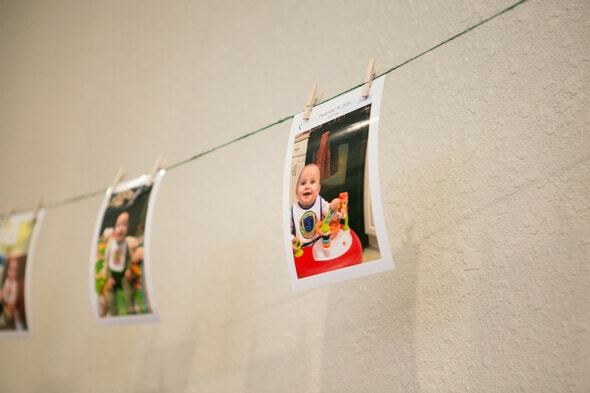 No detail was forgotten, from the sweet pictures that were hung around the party, to the great “cake jar” party favors. 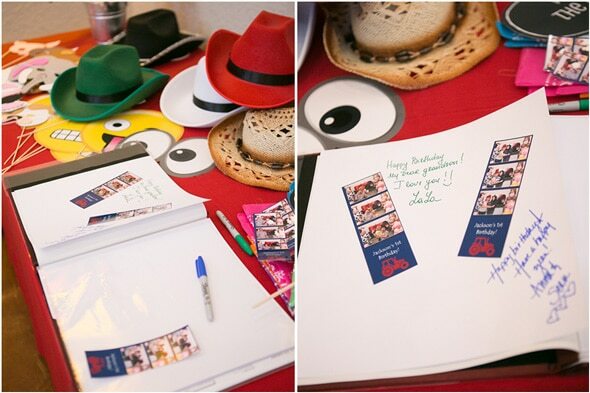 But we really loved the amazing guest book that was laid out for everyone to sign. 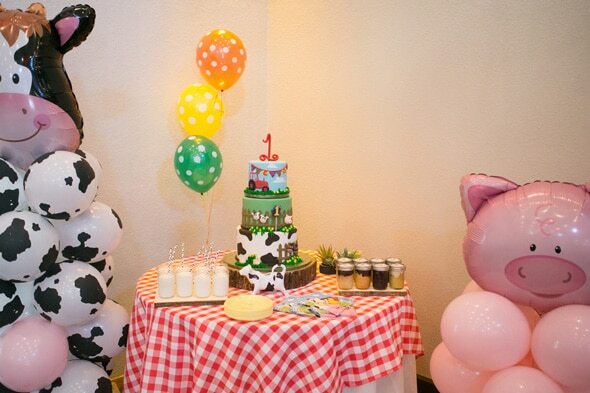 With fun pictures, colored markers and creative designs, this is one party that the birthday boy will be able to look back on forever! 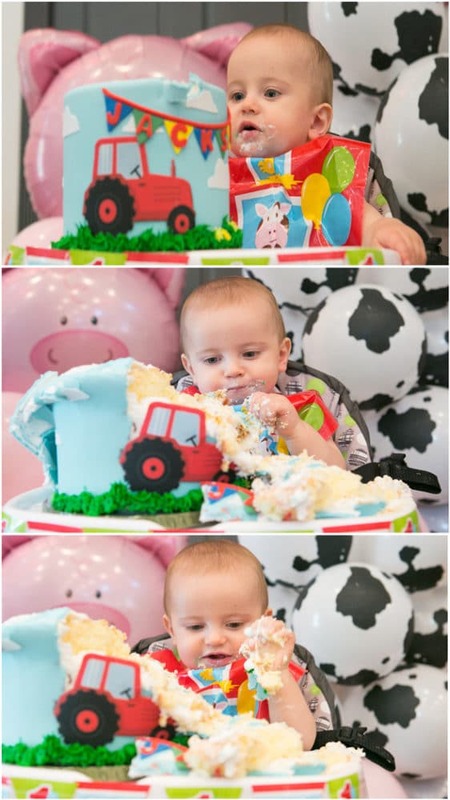 No first birthday would be complete without the required cake smash! 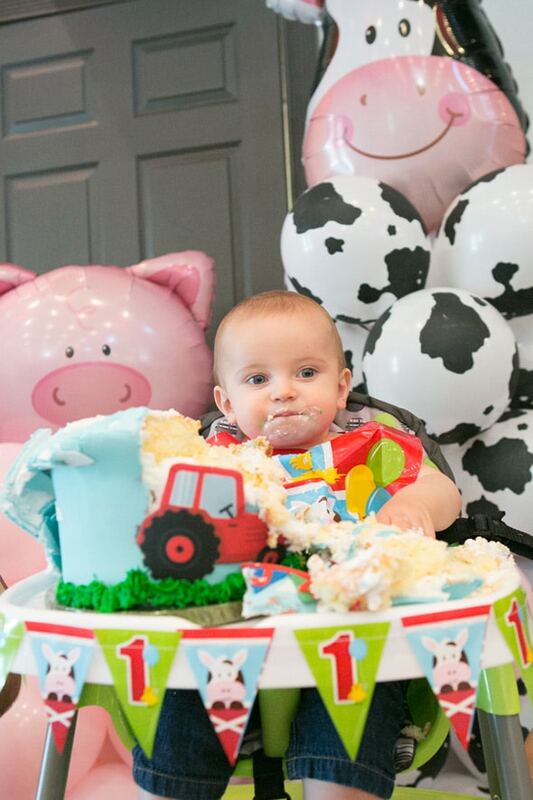 This little dude definitely did a great job in making sure he got his fill of cake for all of the fun pictures that Carrie Wildes Photography captured! Happy birthday little man! 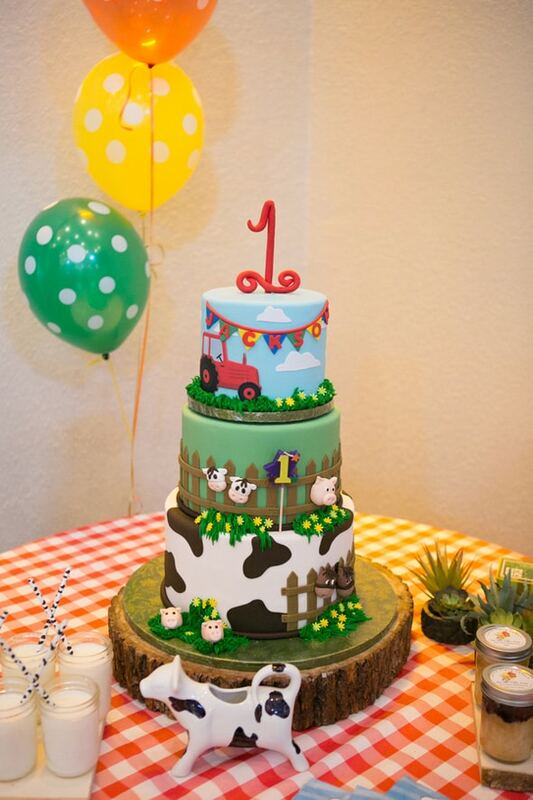 What a fun Farmyard Ranch First Birthday Party!